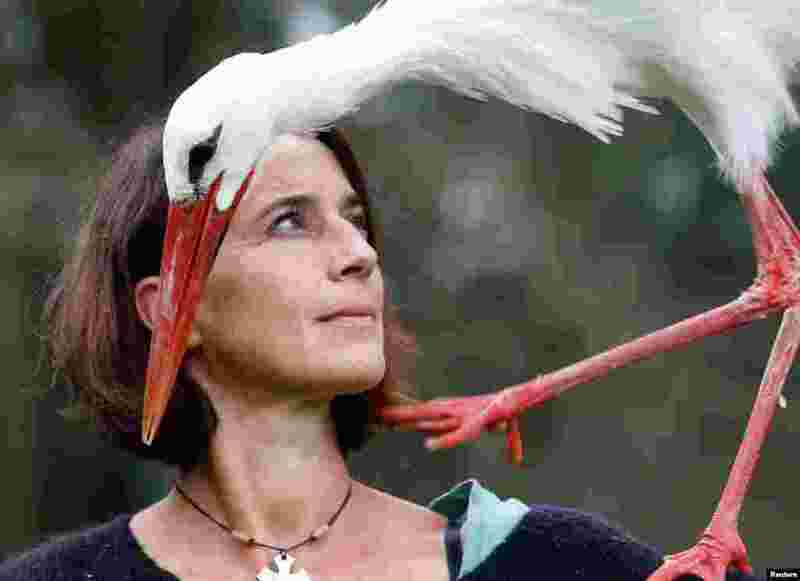 1 Birds trainer Valerie Recher trains a stork in Frouzins near Toulouse, France. 2 Eldaniz Azizli of Azerbaijan, right, battles Zholaman Sharshenbekov of Kyrgyzstan, left, in the Greco-Roman 55kg category of the Wrestling World Championships in Budapest. 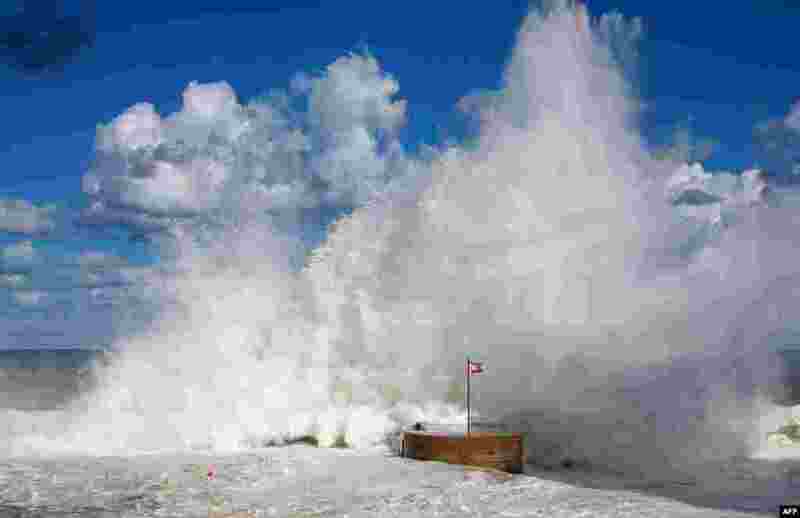 3 The Lebanese national flag flutters on a dyke as waves crash on the shores of Beirut promenade of al-Manara. 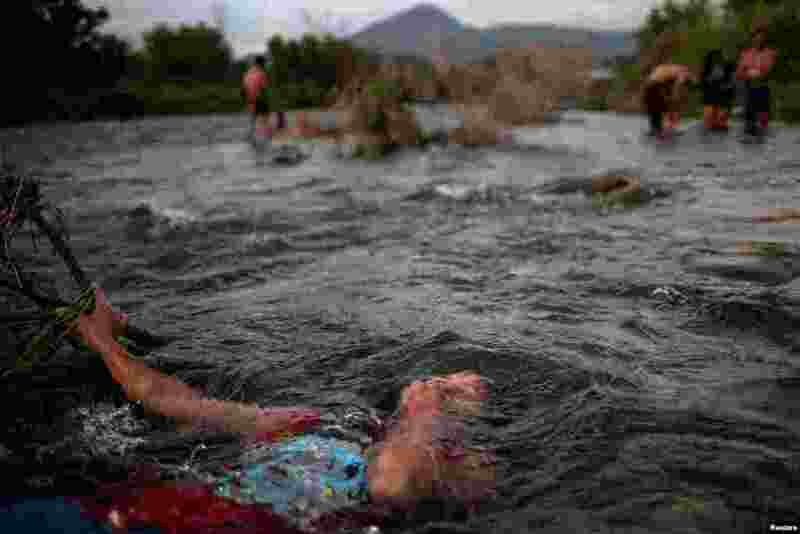 4 A 14-year-old migrant girl from Honduras baths in a fresh water stream as she and others, part of caravan of thousands from Central America en route to the United States, rest in Pijijiapan, Mexico.